A narrow hallway addition—small in square footage but big in upgrades—opened up a cramped kitchen for two serious cooks. 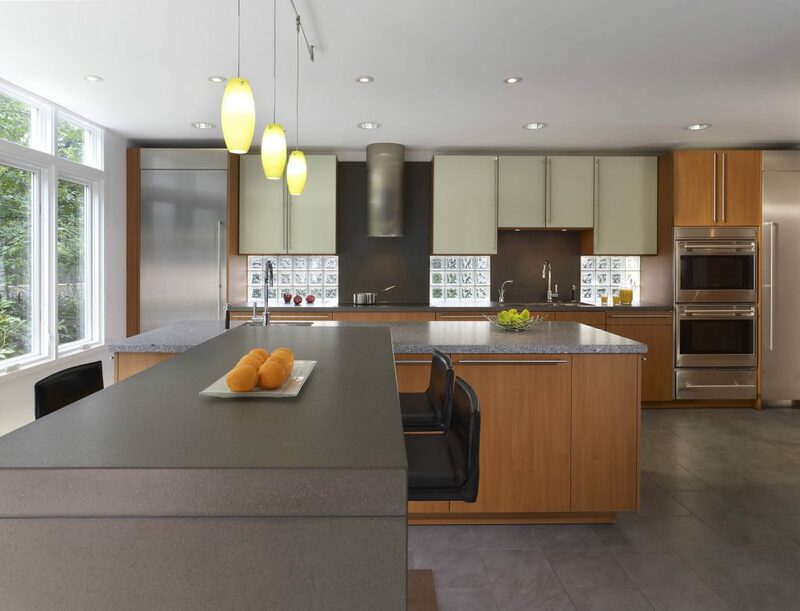 The new-and-improved space provides ample storage and elbowroom, complete with hard-working cabinetry, unbroken work surfaces, and professional-style appliances. 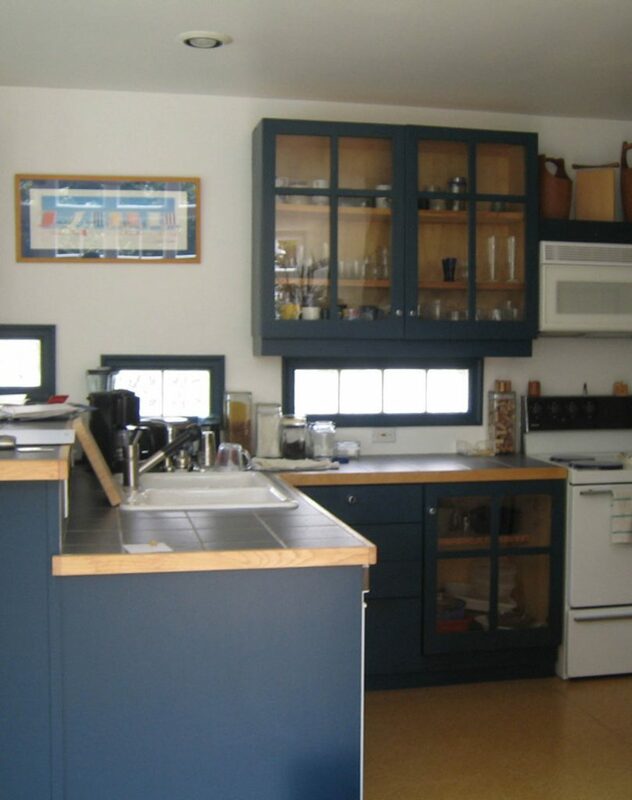 A larger eat-in island and bar provided comfortable space for guests and onlookers. 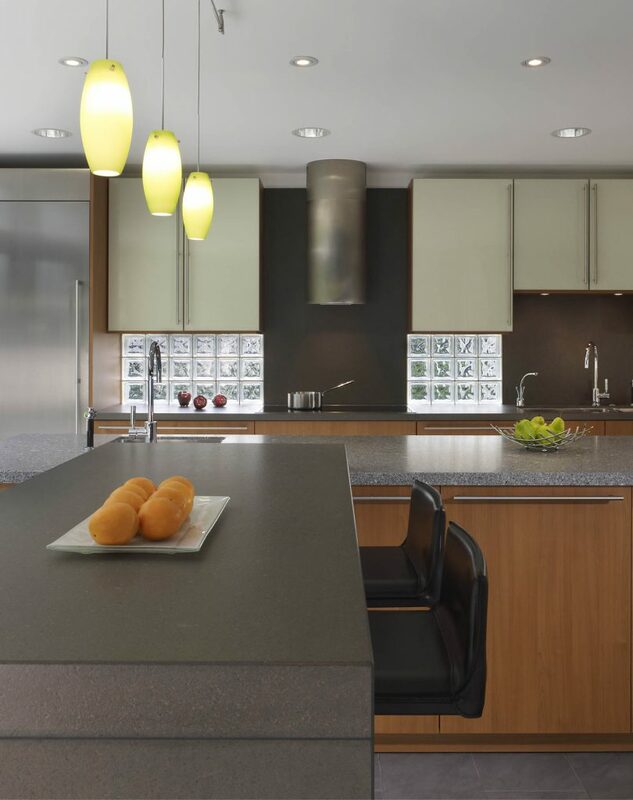 Variable counter heights keep prep separate from eating areas while adding to the contemporary aesthetic. 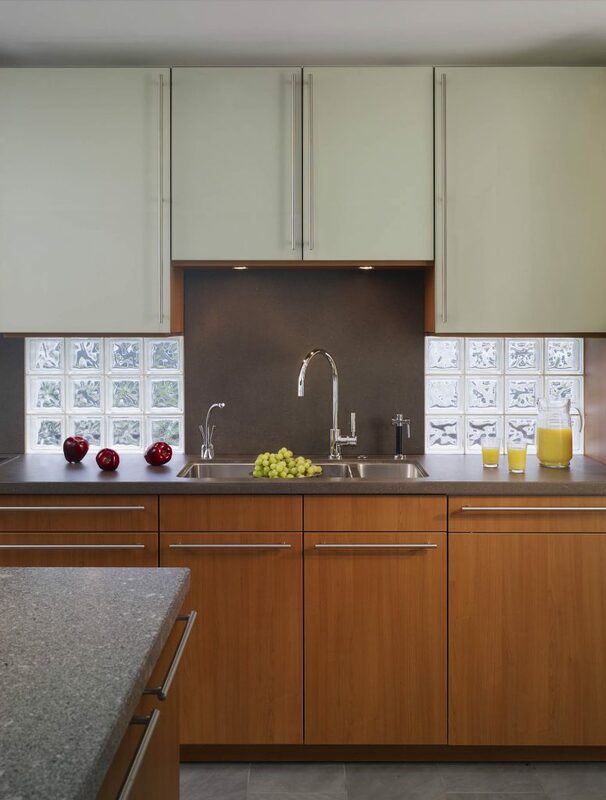 Glass blocks—a design element borrowed from the existing kitchen—span from the counter to the bottom of the wall cabinets to let in light. 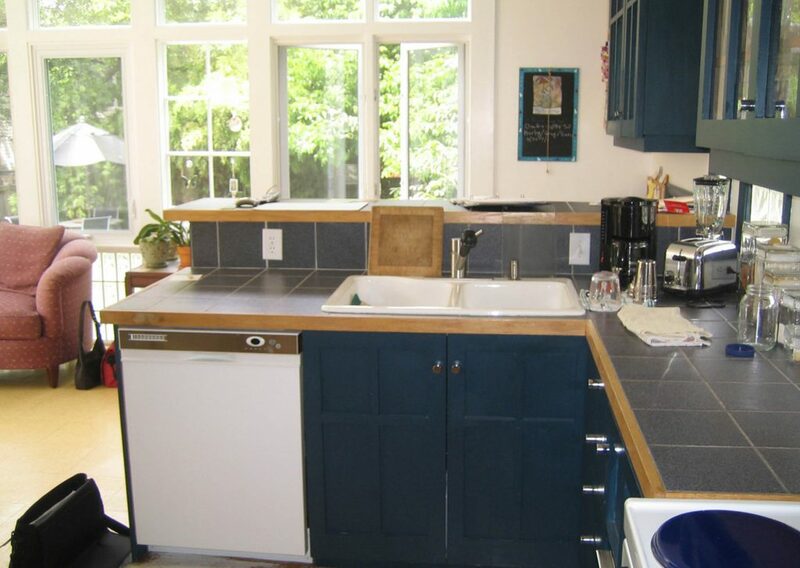 An extra-deep stainless sink with double basins makes quick work of meal prep and cleanup. 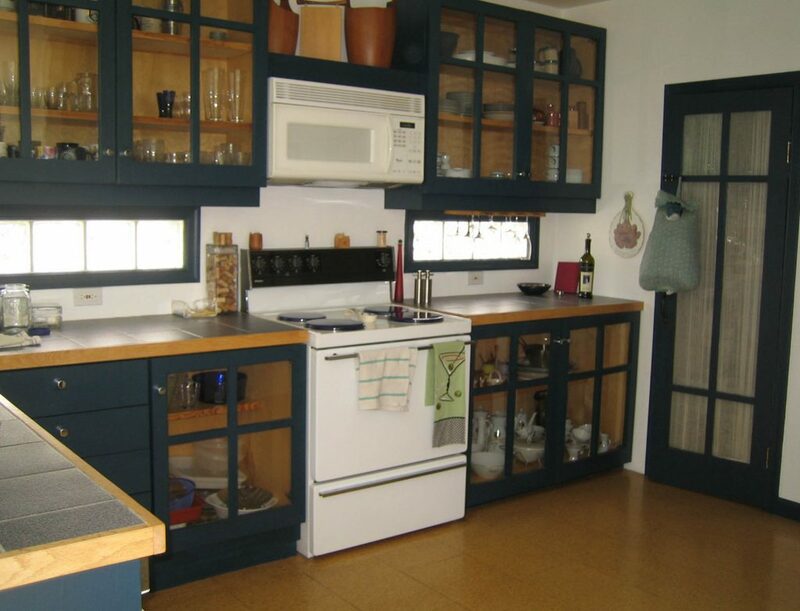 Keeping prep and storage areas clustered and within easy reach helps streamline the cooking process. 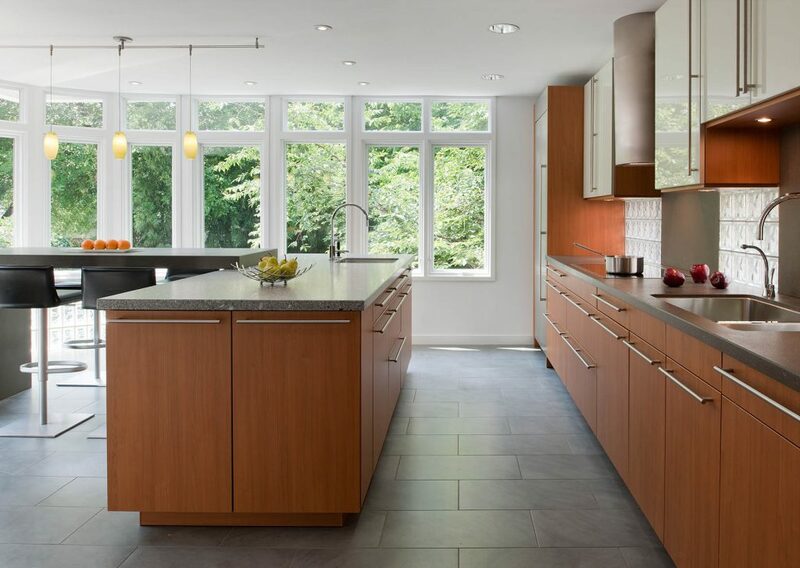 Organic materials and earthy colors—like cherry laminate cabinetry and gray lavastone counters—play up expansive outdoor views. 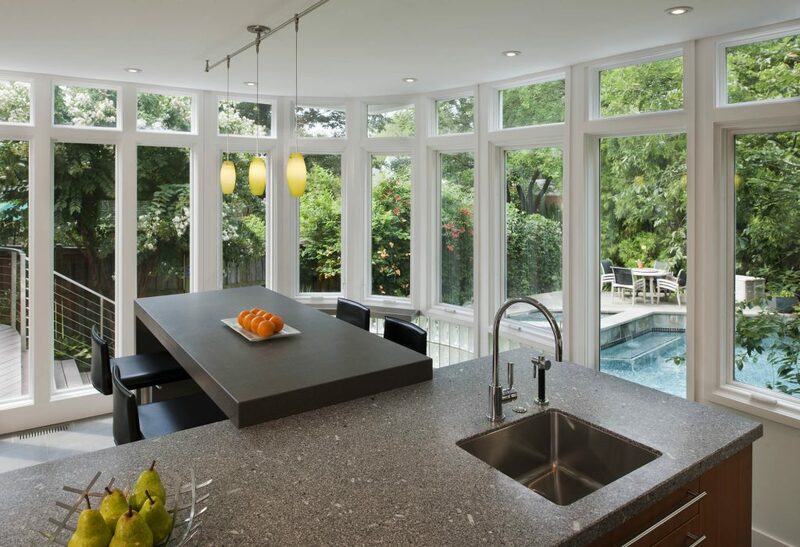 Energy-efficient windows replaced old, deteriorating glazing to maximize the kitchen’s verdant views to the garden and pool area. 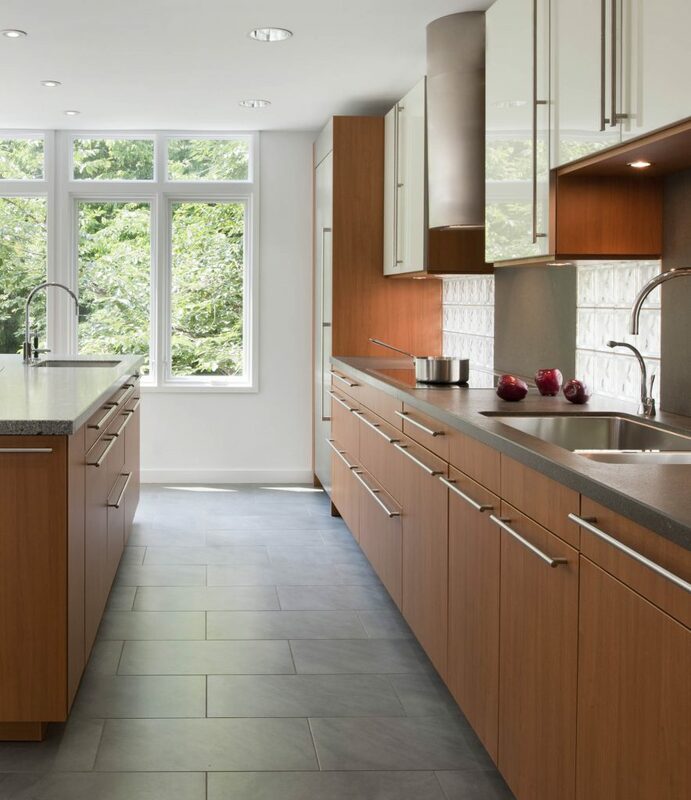 Awarded the 2012 National Kitchen & Bath Association (NKBA) Baltimore-Washington Chapter Award: First Place Winner for Medium Kitchen Category; 2011 National Association of the Remodeling Industry (NARI) Capital CotY Award: Grand Award Winner for Residential Kitchen over $120,000.